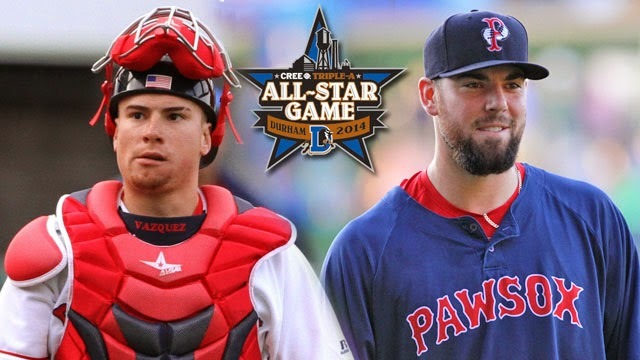 Down on the Farm: Anthony Ranaudo and Christian Vazquez make AAA All-Star Team. 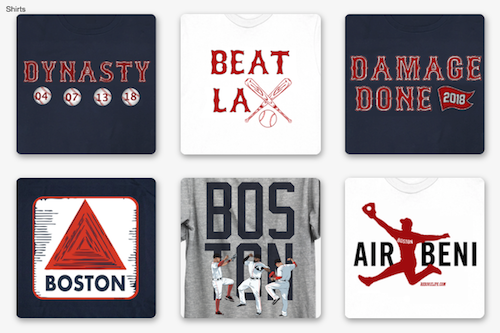 Is Boston calling? While the Boston Red Sox have struggled this season, the Sox minor leaguers are thriving. In Pawtucket, battery mates Anthony Ranaudo and Christian Vazquez received exciting news when they were notified that they made the AAA All Star game. And both deserved the call as well. Ranuado has pitched very well in his first season at AAA, with a 9-4 record and a 2.35 ERA. Vazquez is hitting .275 with three homeruns and 19 RBIs. Last season, with both players in Portland, they also were teammates in the AA All Star Game that was held in New Britain, CT. 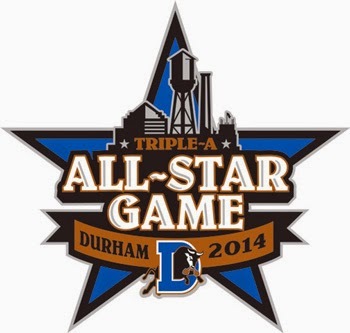 This season's AAA All Star Game will be held in Durham, NC on Wednesday, July 16. The selection means that both players are inching closer to a call up to the big leagues. Could one happen soon? 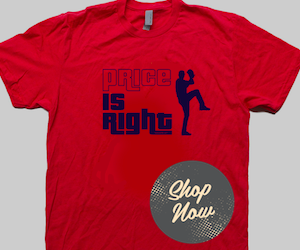 With Boston dropping in the standings, a so called "youth movement" may only be a couple of weeks away. It's clear that Boston needs a spark, and Vazquez, who has thrown out 39% of runners this season, and Ranaudo, who has kept opposing batters to an International League low .202 batting average against, could be just what the doctor ordered. Other notable Red Sox players who have made the AAA All Star Game: Tim Naehring (1990), Trot Nixon (1998), Bronson Arroyo (2003), Brandon Moss (2007), and Clay Buchholz (2009).